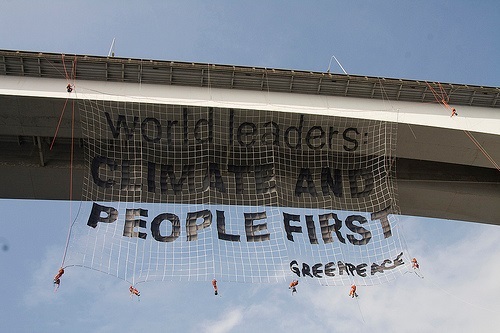 Greenpeace’s mission is to use a variety of methods to “expose global environmental problems and to promote solutions that are essential to a green and peaceful future.” While these methods, called direct action, usually might involve chasing oil tankers or sitting in historic trees, now forty Greenpeace employees have waged a direct action against their own senior leadership. As Greenpeace has long worked at creating a strong social movement with high-profile direct actions that have galvanized the environmental community, let’s hope the recent internal direct actions from staff toward Greenpeace leadership can again be pointed outward again. The environmental movement needs them.—John Brothers. John Brothers is the president of the T. Rowe Price Foundation.